The G Pen for wax and the G Pen Pro for dry herbs are two vaporizers that are manufactured by Grenco Science, a company known for their exceptional craftsmanship when it comes to the newest vape technology. These two vaporizers each serve their own purpose, but each one is just as powerful as the next, with the G-Pen being a conduction model for wax, while G-Pen Pro is a true convection vaporizer designed for dry herbs. The G Pen Pro and the G Pen are two reliable and well-loved vaporizers that tackle different kinds of herbs, including dry herbs or wax depending on your needs. Grenco Science has gotten their vaporizers down to a, well, science, and that might make it hard to choose which one is best for you. For this reason, we have put together this small list of things to consider before making your purchase. The G Pen Pro is used for dry herbs only. It offers incredible flavor and hits rather smoothly, but it does take a bit of a draw in order to make that happen. This pen offers a ceramic heating chamber that comes with a ceramic wick and stainless steel to get the job done. These materials combine to bring you a large cloud with every puff as well as a smooth hit each time, making it a satisfying experience with every hit. It comes with a warranty on the electronic parts for one year, which is about average for a vape pen of this caliber. It takes a bit of effort to load due to the deep nature of the chamber, but it only takes five seconds to heat up which can negate the difficulty of loading and still save you time. This pen is portable and private because it is pocket sized. It looks like an electronic cigarette meaning discreet vaping can be yours. There is one heat setting on the G Pen Pro, but it has been optimized for perfect performance. The battery is charged by way of USB, making it simple to take on the go. The G Pen, however, is a vaporizer designed for use with dry herbs or wax, depending on the heating chamber. It boasts a swift heat up time of 90 seconds, which is a bit longer than the GPen Pro and longer than other dry herb vaporizers in general. Highly portable, it can fit easily in the pocket and in the hand. Instead of multiple heat settings, it offers one. 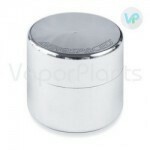 This vape has a stainless steel heating chamber which delivers average flavor and a decent amount of vapor. Its vapor path is made of plastic and it charges by way of USB. While each vape serves different needs in terms of material, it is important to consider both of these in terms of benefits when you are ready to choose a vape. Grenco Science is famous all over the world for creating vaporizers unlike any others on the market today. Over the years, the G Pen collection has grown to include dry herb vape pens, wax pens, and even an oil vaporizer pen, ensuring that Grenco Science offers the perfect vapor pen to suit every vaper's needs! While each of the models made by Grenco Science has its own unique features, they are all designed with both form and function in mind. The vape pens in the G Pen collection are fashion accessories as much as they are premium vaping devices. You'll look good vaping from a GPen, and because they feature the latest technologies in the world of vape design, you can be sure you'll get the best experience with every draw. Compact and durably crafted out of stainless steel and a unique hardened glass sleeve, G Pens are ready to deliver vaping satisfaction wherever you go. They even heat up quickly and have long battery lives to keep you vaping for longer. Take off the mouthpiece to expose the ceramic chamber. Finely grind up your herb. You want to be sure that the herb is ground finely so that the most surface area possible is exposed, but not so much that the herb is powdery. Pack it into the chamber loosely but somewhat firmly; do not pack it too tightly. Click the vaporizer on by pressing the power button five times in rapid succession. Choose the temperature you want to use. Vape and enjoy once it has heated up! - Price - The GPen costs around $59 which is a steal for a wax vaporizer; the GPen Pro costs $99 which is a little on the higher end of the price point for a herbal vaporizer, but still a good deal. - Vapor Quality - The vapor quality of the G-Pen is average as the chamber is made of stainless steel which is not the number one choice for a chamber; the G-Pen Pro has a ceramic heating chamber that provides excellent flavor and even heating, making it a convection model. - Guarantee - Both of these vaporizers come with a one-year warranty on the electronic portions of the vaporizers. For instance, the mouthpiece has no warranty. - Prep Time - The GPen is somewhat simple to load, but it is not as simple as it is for the GPen Pro which takes no time at all. The G-Pen only takes 60 seconds to heat to temperature, whereas the GPen Pro takes up to 90 seconds to heat up to the right temperature. - Portability - Both the G Pen and the G Pen Pro are highly portable. The GPen Pro even resembles an electronic cigarette which makes it ultra compact to take with you on the go. Both of them fit easily into the pocket or in a purse. - Ease of Use - The GPen and the GPen-Pro are both simple to use. They come equipped with their own cleaning supplies as well, which makes them simple to maintain. - Heating and Temperature Regulators - With the G Pen, you get only one heat setting, but it has been optimized to ensure a comfortable and efficient vaping experience. The G Pen Pro offers a temperature range between 275 and 428 degrees Fahrenheit. The G Pen for wax has a stainless steel heating element that takes 60 seconds to heat up while the ceramic chamber in the G Pen Pro takes 90 seconds. - Power Supply - Both the GPen and the GPen Pro are charged using a USB port which makes them simple to charge absolutely anywhere. Which G Pen Vaporizer is Right for You? The G Pen that is best for you will depend on what type of material you wish to vape. If you're looking for a dry herb vaporizer pen for enjoying your favorite aromatic blends, you can choose the G Pen Elite or the Pro. Both herbal models feature premium ceramic chambers to get dry herbs to their point of vaporization fast, making them a Convection Vaporizers. The G Pen Elite Special Editions were designed by legends and feature specially designed housings. The classic G Pen has a sleek, black stainless steel housing with silver accents. Looking for a wax pen rather than a herbal one? Grenco Science offers two wax pens to meet your needs: the original G Pen Vaporizer and the one with dual quartz atomizer. Both of these wax vaporizer models provide flavorful, smooth vapor and an easy-to-load atomizer not found in other wax vape pen designs. Visually there is no difference between the two, only the atomizers are different designs. But if you prefer to vape e-juice or e-liquid oils? The G Pen Hookah Vaporizer is the first G Pen made to suit oils, and has an innovative atomizer that can outlast those found in other e-cig type vape pens. The oil vaporizer pen looks much like the G Pen for wax. All of the G Pens feature rechargeable lithium ion batteries and come with USB chargers to give you the best way to recharge. Grenco Science has developed a unique battery design that constantly provides steady power without ever overloading the heating element. This ensures optimal vaporization and virtually eliminates the risk of your herbs burning. Grenco Science offers a 1-year warranty on the electronic components featured in all of the G Pen Vaporizers. An instruction guide that explains how to clean your G Pen and provides detailed information about safe operation is included with every complete kit. You'll also receive cleaning tool, giving you everything that you need to begin enjoying your new GPen. The G Pen Pro from Grenco has once again raised the bar by creating the next best thing from the line of G Pens. This new pen's biggest upgrade involves improvements to its ceramic oven. The new ceramic oven is massive and heats up instantly. The generous oven won't add any unwanted flavor to your herb of choice, making sure you get only the full range of flavors your herbal blend has to offer. There are three heat settings for the chamber, letting you pick the temperature that best suits each new batch of herbs. As an added bonus, this vaporizer comes with a key chain poker that is always around to stir the material.. The housing has a sleek and ergonomic design that looks as good as it feels in the hand. The button sits in a perfect spot on the vaporizer, making it simple to press without having to hold the vaporizer in a strange and uncomfortable manner. The placement of the hole on the mouthpiece is even ideal for the most comfortable draws possible. Top to bottom, the entire pen has been designed for a comfortable vape by the user. It's even simple to clean! The first thing you should do as soon as you get your G Pen Pro by Grenco Science is to register it online. You will see the serial number on the underside of the pen's original packaging. Go onto the Grenco site and enter that serial number. This is important if you ever need to take advantage of any warranties. After you have registered the G Pen Pro by Grenco, it is time for you to charge it before use. For a full charge, it has to be charged for a minimum of two to three hours. To charge it, simply plug it into the USB cord included in the package. The blinking of the LED lights indicate it is charging. When the light is shining solid, the battery has been charged fully. To load, remove the mouthpiece. You can do this by pushing up on the back of the mouthpiece, as this motion will release it from the vaporizer. Grind up your herbs finely. Then, fill the chamber that is exposed after you remove the mouthpiece. Be sure you do not over pack the chamber to optimize the airflow. Then, place the mouthpiece back onto the vape by just pushing it back down over the chamber. Power the device on by pressing the front panel button five times in rapid succession. Hold the button down in order to change the temperature settings. The blue setting indicates a temperature of 375 degrees Fahrenheit; green indicates 400 degrees Fahrenheit; and red represents 428 degrees Fahrenheit. When all of the lights are a solid color, the temperature has been reached. For best results, you will want to take long, slow pulls off of the vape. The G Pen Pro carries a warranty that is identical to the other vaporizers the company sells. It is covered by a one-year warranty. In order to take advantage of this warranty, you will want to be sure you register your product when you get it. If you bought this pen from an authorized retailer, you need to keep the receipt as proof of purchase. Without this proof, you will have to pay for the shipping and handling fee. The warranty does not apply for counterfeit items, mouthpieces, coils, or tanks. The G Pen Pro by Grenco features variable temperature control. Red means 320 degrees Fahrenheit, Green means 380 degrees Fahrenheit, and Blue means 420 degrees Fahrenheit. Its LED light indicator makes it simple to figure out what is what. There is an automatic shut off feature which helps not only to keep the machine safe but to save on battery. It will turn off after three minutes of inactivity. The unit is ultra portable and can fit easily in the hand and easily into your pocket or your bag. The vape comes with mouthpiece sleeves which can help to minimize the transfer of heat since the G Pen Pro by Grenco has its mouthpiece close to the chamber. The chamber can hold around .4 grams to .5 grams depending on how fine you are able to grind your herbs. It only takes around a minute for it to heat up, and it charges using a micro USB charger. The engineers at Grenco Science have come out with a brand new way for you to enjoy dry herbs and to reap the benefits of herbals - the G Pen Elite Vaporizer. This revolutionary vape has features that no other vaporizer from G Pen collection has offered before and provides a truly exceptional vaping experience for those who prefer to vape dry herbs. Technically, the G Pen Elite is not a vape pen, but rather, the unit is a portable vaporizer. The herbal vaporizer has a larger battery and a larger heating chamber to hold more material and to provide all day vaping convenience whether you're at home or on the go. Ergonomically engineered, the portable vape for dry herbs fits comfortably into your hand, and its black color makes it very sleek and compact for use anywhere your travels take you. One of the most unique features of the G Pen Elite vaporizer is its LED display, as it's the first of the Grenco Science vaporizers to offer one. You can glance at the screen to see the current temperature and gauge how much battery life remains before a recharge is required. The model is the first ever from the brand to provide precise heating controls, giving you the freedom to choose a precise temperature from a range of 200 degrees Fahrenheit to 428 degrees Fahrenheit. 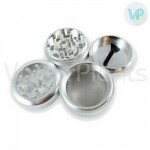 High quality parts, including a ceramic heating chamber, help to ensure that vapor is as flavorful and pure as possible. Order yours today and see for yourself why so many people praise Grenco Science as a leading producer of best vape pens. The G Pen Elite is an ultra slender dry herb vaporizer that has fast heat up times, an LED screen and a powerful battery that makes it a great portable vaporizer. - Price - The price of the GPen Elite is $149.95, which is a bit higher than many other dry herb vaporizers. Even for the price, it is worth it due to its number of features and portable nature. - Vapor Quality - The G Pen Elite is a conduction-based vaporizer that heats the herbs from all around. This ensures an even heat-up time that provides you with a consistent, smooth vapor. The only thing is that there is a plastic vapor path which might make the flavor of the dry herbs less than satisfactory. - Guarantee - The G Pen Elite comes with a 1-year warranty. - Prep Time - The GPen Elite has a fast heat-up time. It can be ready to go in only 20 to 30 seconds. - Portability - The G Pen Elite measures in at only 4.5 inches long so it is ultra portable. It is also lightweight and easy to carry around with you to further its portable nature. - Ease of Use - The GPen Elite is simple to use and offers an LED screen that helps you navigate through the temperatures. You are able to pick the one that is the best for you depending on what you want to vape that day. - Heating and Temperature Regulators - It boasts a conduction-based, 360-degree ceramic heating element that can heat to any temperature between 200 degrees Fahrenheit to 428 degrees Fahrenheit. This provides you with precision control over the temperature that you are interested in, allowing you to fine-tune your experience with each and every vape session. - Power Supply - The G Pen Elite has a battery that can go through three to six chambers before it dies. It only takes two to three hours to charge it up on its included USB cable. This means that you can practically have the G Pen fired up and ready to go whenever you want it with its long battery life and universal USB method of charging. Take the mouthpiece off the unit. Wipe down the silicone mouthpiece with a cotton Q-tip soaked with isopropyl alcohol. You can also choose to submerge the mouthpiece in isopropyl alcohol for around half an hour. Whichever you choose, be sure to rinse off the mouthpiece with clean, warm water. Wipe out the screen with the included cleaning brush after removing it from the chamber. Wipe out the chamber itself. My customer service experience excellent.. Product review unable to make comment as it was a gift, however looking at Packaging and the actual product i would certainly say the gift recipient will be extremely happy. The customer service at vapor plants exceptional. During checkout I forgot to provide my email and did not note my order number. I emailed customer service and advise what I done somehow they were able to get back to me. The parcel arrived on time.The product looked good. As it is a Christmas gift I cannot comment of the efficiency of the product. I am sure it would not disappoint. Great Little Vape - Review by Cannon G.
I got the g pen and it truly is very small and it fits anywhere. I have had it for 4 months now, not one issue, just sometimes forget to recharge it, but it uses a USB so it’s not hard to find a place to charge. If you are looking for a one hitter style, this is perfect, I vape throughout the day, so this little bugger is in my pocket anywhere I go. Ordered a G Pen form these guys, received everything after 4 days of placing the order. As my friend who recommended the wax pens by Grenco Science says - " get it and forget it ". Would recommend any of the G Pen Vaporizers, since replacement parts and add-ons are readily available to purchase at any time. Great Pen, very sleek and satisfying. Small and it packs just whats needed, easy to use! What more can any of us ask for. Sincerely, a very satisfied G Pen customer... I am giving 8-9 out of 10. Awesome job Grenco Science - Review by George R.
I have an original Micro G pen and it is great, but this updated version is so much nicer, so much easier to change the heating chambers. This pen is definitely easy to use, change parts on, and easy to carry wax pen. Thank you vaporplants for recommending me this product when I emailed you with my list of question. Awesome!!! I also have the Grenco Science G Pro and decided to try G Pen Elite – it’s just as easy to use and it’s perfect for when I’m on the go. The size makes it more discreet too! Great design - Review by Jessie T.
G Pen is awesome, smoking is just horrible for you. The vape pen design is what got me originally to get it, but now I am happy with the outcome. This particular vaporizer pen is for wax, which is fine for me, plus you can get attachments later on for dry herbs or oils if you wish. Most people do not know what this is when I do use the vapor pen, since the vapor is pretty much odorless and it fits in your hand discreetly. Quality Vape = Happy Customer - Review by Svetlana F.
Best Choice for Vape Pen - Review by Joseph W.
Durable, easy to use and very small. I love this little vape pen, as it works great as a wax pen. Comes with great amount of accessories and great video on this page which shows the product and what it comes with. Have been using for the last 4 months and no regrets, will keep you guys posted if any problems come up. 10/10 product! Simple - Review by Olivia M.
This is very simple, easy to use and nothing more to it. If you ever used wax, than you know you need one of these vape pens. Make sure to order extra atomizers, I came back to order more, each one last me about 2 months on average use. Temperature controls as needed - Review by Sandy C.
I love the features of the G Pen Pro including its three different temperature controls. Temperature is important to me because I like to change the temperatures around depending on the kind of material that I am vaping. It has a light indicator that shows me not only what temperature I am vaping at, but what the battery level is as well which is really handy. This makes it so that I don't end up with a dead battery with little to no warning. Furthermore, it looks really sleek and is easy to hold in the hand. Needs practice - Review by Frank K.
The only problem I have with the G-pen Elite is that the mouthpiece takes a little bit of practice to get used to, but once I did I was really happy with my purchase. Saves money - Review by Aurelio A. The G Pen offers really potent clouds which means I don't have to vape as long to get the desired effects. This helps me save money on my purchases of all kinds, which is important to me. I love playing around with the temperature settings on the G Pen. Simple to clean - Review by Irma J. It is clean looking and clean hitting at the same time. The G Pen Pro is simple to clean and I have never had a vaporizer that is easier to use than this. Really easy to use - Review by Kimberly S.
The heat up time is short and it only has a single button which makes the G Pen really easy to use. Strong design - Review by Albert A.
I don't think that I will have to replace it or that it will break very easily which is great because I am clumsy. Adjustable temperature control - Review by Dan J.
I love the adjustable temperature control of the G-pen Elite. It is one of the best vapes through and through and has become my new favorite due to the long battery life, fast heat up time and great flavor. It is also very discreet. Easy to use - Review by Luann A.
GPen pro is easy to use, offers consistent temperature settings, and has a great price. Saving money on herbs - Review by Michael S.
I feel like I am saving more money on my product by using this vaporizer honestly. The vapor is cool and easy to inhale without it hurting my throat. This vaporizer is really stealthy, also. No huge clouds - Review by Tisha J.
I love the ergonomic feel of the G Pen Pro and it is easy to keep securely in my hand when I travel for that reason. I have taken it with me everywhere and because it does not produce huge clouds, nor does it produce a lot of smell, and no one has said anything to me about my using it. Great heat up tme - Review by Kenny M.
The battery life is decent and the heat up time is really impressive to me. Economical - Review by James J. It is economical in the way that it vaporizes every bit of the herb and does not leave any wasted. No problems - Review by Vesta N.
I take it with me everywhere and have yet to have a problem with it. Awesome vape - Review by Alma R.
The G Pen is an awesome vape that comes at a great price. It has a much larger chamber when it is compared to other ones that I have tried. Decent clouds - Review by John L.
It takes a little bit of playing around with the vaporizer to hit the sweet spot, but once I found it, I was hooked. It tastes great and blows decent clouds. Fast heating - Review by Barbara F.
The G Pen Pro is a fast heating, long lasting vaporizer that I have yet to be disappointed with. In love with the G Pen Pro - Review by Donna E.
Grenco Science has done it again. I am in love with the G Pen Pro. This vaporizer is my new favorite even though I do not have much to compare it to. I will say that it is small yet sturdy and even though it is compact, it still delivers a lot of potent vapor at one time. It is really easy to use which is important to me because I have still not used very many vaporizers yet. Discreet and stealthy - Review by Michael S.
The Gpen Elite is really easy to clean. It is discreet and stealthy. Draw is a bit high - Review by Heidi J.
I love the G Pen but the draw is a bit high which knocks it down a point for me. Battery lasts - Review by Donna L.
I love the look of the G Pen. I was impressed with it from the second I got it out of the box. It doesn't take long to charge at all and the battery lasts for a good amount of time. Really comfortable vapor - Review by Jan J.
I love how discreet the G Pen is. I can take this thing with me anywhere and hide it away in my pocket and in my hand and no one knows the difference. It produces really comfortable vapor that has not once burned my throat and is efficient. Well made! - Review by Brett K.
I have been using other vaporizers for a few years now, but I'm not sure any of them compare to this one. I saw some good reviews and decided to buy it and I am very glad that I did. Gpen Elite is really well made and has a nice, solid feel. Great price - Review by Rose C.
It is a really great price; do not think that just because it is so cheap it will be cheaply made but it is not! Very sleek - Review by Willie G.
Gpen pro is very sleek and modern looking which is something that I look for in a new vaporizer. Fast charge time - Review by Doris T.
I am very satisfied with the G Pen Pro. This vaporizer charges up so fast and does not have as many parts to fiddle with like a lot of other vaporizers do. The mouthpiece makes its home on the pen itself and isn't just another accessory to keep up with. Strong battery life - Review by Ruby M.
I love the G-pen Elite primarily because of its battery life. I can use it for around 45 minutes at a time when it is on a full charge. Smooth and crisp - Review by Clarence M.
The G-pen Elite makes a huge step up from the G Pro in my opinion. It has a better vapor quality to it that is smooth and crisp and does not burn my throat. It also offers more vapor at once instead of smaller wisps of vapor like my other vapes had. I also love the fact that I can control the temperature because it gives me greater control over my sessions each and every time. Finally, it has a beautiful design and is really sleek. The unit is discreet which is great for taking it on the go. I also want to mention that I love the size of the chamber as it is large but not too large where it might become wasteful. Solid device - Review by Alice J. The G-pen Elite is a really great and solid device. I don't have any problems with it yet and I am not sure that I ever will. It has a really nice draw resistance that is not too low and not too high and instead hits just right. Great for the price - Review by Donnie M.
Difficult to use - Review by Jeri B. With the G Pen vape, my only complaint is that it is a bit difficult to use. Otherwise, it is a truly great vaporizer. It does what it is advertised to do, and holds a good amount of material in its chamber so that I am not constantly refilling it. Great airflow - Review by Betty R.
The G Pen has great airflow and produces good-sized clouds. The mouthpiece does not get hot which is something that I look for in a vaporizer. I have had it for a few months now and am really happy with my purchase of the G Pen overall. Leaves no leaf untouched - Review by Sandra W.
The G Pen uses up every bit of my material and leaves no leaf untouched. Powerful vaporizer - Review by Robert V.
Gpen Elite is great for five minute cycles of vaping and putting away for a little while. If I do it right, I can use it almost all day on one single charge. This vaporizer is ideal for anyone who really wants a powerful vaporizer at a price that is worth it. 5 Stars - Review by Lacey D.
l love the G Pen Pro. high-end vaporizers - Review by Virginia D.
I have had G Pen Pro vaporizer for quite some time now and it performs just as well today as it did the first time I ever took it out of the box. I have used really high-end vaporizers and really low end vaporizers and out of all of them, I would say that the G Pen Pro is the best performing one. Love it! - Review by Ramon K.
I love that the gpen pro has minimal clouds and low smell so that I can vape it in public without any sort of problem. Low odor - Review by David A.
I love the low odor because I live in an apartment and don't want that smell getting out for obvious reasons. The battery life of the G-pen Elite is just out of this world and I never have to worry about losing a charge in the middle of a session. One full charge gave me plenty of sessions at once. New favorite vape pen - Review by Sheila M.
The G Pen is my new favorite vape pen. It has a nice, large chamber that makes it easy for me to fill up once and then not worry about filling it again for a while. love it! - Review by Walter V.
I love how fast it heats up too. Great vaporizer. Recommend this to all beginners - Review by Coleen W.
I am still pretty new to vaping and the G Pen for wax is the second one I have owned. I think it might be the best I have tried. The price is great and the vapor that it produces is even better. I recommend this to all beginners. Simplicity... - Review by Michelle W.
Very simple to use Dry Herb Vaporizer by G Pen. Not as compact as some other models out there, but the Elite feels and works great, a good product and I can recommend it to those who are total brand name junkies and need to have bragging rights to survive!!! Looks great - Review by James M.
I really dig the design of this vape pen, G Pen not only looks great, but it also works well. Not a fan of dabbing, so this has been an awesome addition to my collection. All you have to do is charge it, load it up, turn it on and vape. After seeing the price I thought this was another one of those celebrity endorsement fails. WRONG! It’s super easy to use – this was my first vaporizer – and I always get a smooth draw. Highly recommend this, regardless if you’re a pro or a newbie like me. G Pen Pro - Great - Review by Tim F.
I love this vape! I'd buy it again. Pro has completely replaced all of my other vaporizers. The GPen Pro boasts a large ceramic chamber, instant heat up, a unique mouthpiece, and a comfortable design. Large Chamber - Review by Melissa F.
I love the large ceramic chamber if the Elite. It heats up right away and saves me so much time compared to my other vaporizers. It is totally portable but it's also a great vape for chilling at home. It’s easy to clean and doesn't get all clogged up. The mouthpiece sometimes needs a bit more thorough cleaning, but that's it. The elite is great, but what made me want this new GPen Pro is that it has the right size chamber for me. I didn't feel like I was using the old chamber to the full capacity, but with this one, I am able to. I ordered the Snoop Dog G pen and it looks cool, but did not receive a mesh screen so it combusts the herb instead of vaporizing it. Also added the wax mouth piece/coil for 25 dollars and it does work ok. This is my very first Vaporizer and it was very simple and easy for me to use and the charge last for a long time, I did notice there can be some combustion of dried materials and apparently this can be fixed by adding a glass screen, I just wish that option was given to me before so i could of purchased one. But for now it has been serving its purpose great that is my only con to this item is that it tends to combust the materials fairly easy, but again from what I hear can be fixed just by adding an appropriate size glass screen. Good 1st Vape - Review by Wendy P.
Would suggest that you let your G Pen warm up before packing it, and to pack it full to get everything out of the pen, since packing just a bit at a time doesn't give you a good enough hit. Also it smells if you if you keep materials in it after using or not cleaning it after a few uses. All in all very good for discreet use, and definitely does what it needs to do! I love my new GPen. It's very convenient and easy to use with wax or herbs, just use different heating chamber. Just takes 30 seconds to pack and turn it on. Only a minute later it's ready to go. Highly recommend it, also recommend to order another battery just in case, had to replace my under warranty, 2nd one works great. Pretty amazing!! - Review by Nathalie C.
First time I am using this vaporizer and it is easy and I really recommend this one for beginners. It is light and has a nice design too, very sober (not flashy). The performance is good, but I can't really tell since it is my first one. Have been using G Pen Hookah Vape Pen for the last 3 weeks, definitely one of the better products I have owned. Not sure how long it will last but definitely feels great in the palm of my hand. Easy to use, as one button operation makes it "dumb proof." There are other cheaper oil pens out there but for $50, a good brand vaporizer I believe is a bargain, especially when replacement parts are so readily available. Easy to operate - Review by Kelvin O. Easy to use and carry around, the portability is exactly what I was looking for, plus being discreet is a bonus on its own. Overall this is a high quality vaporizer, comparing to the ones I have used before. By vaporizing you are avoiding harmful toxins by not using the conventional herbal combustion, in other words smoking. It is easy to load and use, but negative is G Pen Vaporizer does not do both, either dry herbs or wax. I got the Snoop Dogg G Pen vape pen for dry herbs, and its been good to me. Very compact - Review by John L.
This vape pen is slim, I got the Snoop Dogg G Pen edition and I am happy with the purchase. It fits in my pocket and easy to carry around without any fuss. The vape tastes pretty good and it is easy to setup, with a full charge it will last me an entire day. This is not ideal for group gathering, but two people can enjoy it overall, just have to load it up more often.